E! NEWS – Still reeling from the final moments in Avengers: Infinity War? E! News has an exclusive look at Paul Bettany, Chadwick Boseman, Josh Brolin, Chris Evans, Danai Gurira, Chris Hemsworth, Scarlett Johansson, Anthony Mackie, Elizabeth Olsen and Sebastian Stan filming the devastating finale, culminating in—spoiler alert!—Thanos activating the Infinity Gauntlet and snapping his fingers, wiping out half the galaxy’s population. CNN – Marvel’s Avengers have taken on aliens, robots and even each other. If the latest trailer for the Disney studio’s new superhero movie is any indication of what’s next, they are about to take on their greatest foe yet: Thanos. The imposing (and quite purple) space villain flexes his muscles in film’s new trailer, which premiered on Friday morning. The preview includes your standard Marvel comic book action mixed with comedy, but Thanos’ looming presence sets the scene what what appears to be a major battle on the horizon. “Tell me his name again,” Robert Downey Jr.’s Iron Man asks. The two-minute trailer, which has racked up close to a million views on YouTube in less than three hours, features nearly every hero in the Marvel Cinematic Universe, which includes the crew in “Guardians of the Galaxy” and Doctor Strange, played by Benedict Cumberbatch. A bearded Captain America is seen taking on Thanos in hand-to-hand combat, Spider-Man is swinging through debris, and Thor finds his head nearly being crushed by the villain. The glimpses of our heroes in peril led some fans online to fear that some Marvel characters may not make it out of alive. Marvel Studios’ latest hero, Black Panther, played by Chadwick Boseman, is featured prominently in the new trailer. “Black Panther” has been one of Marvel’s biggest and most critically acclaimed hits since it opened last month. The film, which is the first Marvel project directed by an African-American, broke records on its opening weekend at the box office and has made more than $1.1 billion worldwide. “Avengers: Infinity War” looks to be the one of the biggest films Marvel has ever produced, which is saying something since the brand has had 18 straight number one openings and has grossed more than $14.5 billion globally. “Avengers: Infinity War” hits theaters on April 27.. The black comedy took home the award on Saturday. HOLLYWOOD REPORTER – Ingrid Goes West won the award for best first feature at the Film Independent Spirit Awards, which were handed out Saturday in Santa Monica. The film beat out fellow nominees Columbus, Menashe, Oh Lucy! and Patti Cake$. Ingrid Goes West follows Ingrid Thorburn (Plaza), a woman who flees Pennsylvania for Los Angeles to befriend Taylor Sloane (Elizabeth Olsen), a socialite who just so happens to be Ingrid’s latest obsession. Jared Ian Goldman, Aubrey Plaza, Tim White, Trevor White, Adam Mirels and Robert Mirels produced the film. The 33rd Film Independent Spirit Awards took place in a tent next to the Santa Monica Pier and aired on IFC on Saturday, March 3. Nick Kroll and John Mulraney returned as hosts for the second year in a row. THE HOLLYWOOD REPORTER – Donna Gigliotti and Dakota Fanning return with Amma Asante, Ilene Chaiken and Mira Nair for the third annual three-day program. 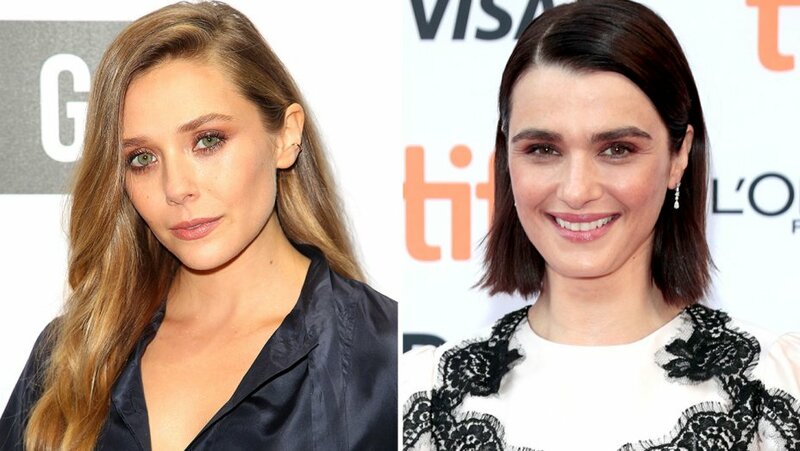 Tribeca Enterprises and Chanel’’s third women’s filmmaker program is calling on Elizabeth Olsen, Rachel Weisz, Donna Gigliotti, Amma Asante, Mira Nair and Dakota Fanning. The three-day workshop — titled Through Her Lens and presented in collaboration with Pulse Films and supported by Tribeca Film Institute — will provide five female filmmakers with project support, master classes and one-on-one mentorship. Taking place Oct. 17-19 in New York City, it will cover a range of topics, including script-to-screen development, story structure, casting, finding collaborators, festival strategy, distribution, and working with music composers, costume designers and producers. The program’s master class advisers include writer-director Amma Asante, actor Dakota Fanning, producer Donna Gigliotti, composer Laura Karpman, producer Riva Marker and costume designer Sandy Powell. The jurors include director/producer Mira Nair, producer Paula Weinstein and actor/producer Rachel Weisz. The mentors include producer Caroline Baron, writer/executive producer Ilene Chaiken, writer Leslie Dixon, casting director Ellen Lewis, actor Elizabeth Olsen and producer Celine Rattray. The writing mentors include producer Effie T. Brown, producer Lucy Fisher, president of TriStar Hannah Minghella and director/writer/producer Robin Swicord. DEADLINE NEWS – A HILARIOUS video has captured Avengers actress Elizabeth Olsen struggling to pronounce very rude Scottish slang. In the side-splitting clip, uploaded by fellow actress Jade Olivia Gordon, Olsen can be seen reading the list of phrases – including “baws” – from a screen and cracking up laughing. Olsen is in Scotland filming the latest Avengers film, and has clearly taken the opportunity to get familiar with the local dialect. At the start of the minute-long video, the actress can be seen saying: “She gobbled that jibby-jabber” before laughing uncontrollably. After a few seconds, she looks down at her phone and says “baws – that’s testicles.” She then repeats “baws” again before sniggering at the sound of the word. Olsen’s pronunciation of the words comes out more like “bozz”.